Twice as shocking... Twice as daring! 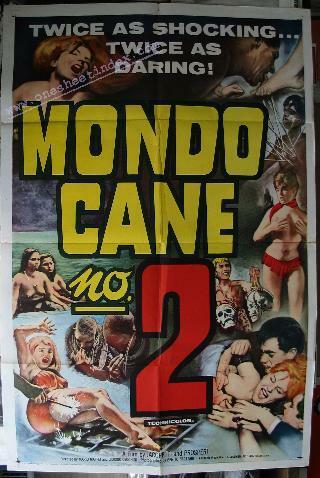 "; "It starts where Mondo Cane left off! "; "Crazy! Mad! Wild! Insane! Too Much! Exotic! Heartless! Colossal! Monstrous! Riotous! Delightful! Wonderful! Strange! Hysterical! Unbelievable! A gas! Beautiful! Intense! Cruel! Weird! Tops! Incredible! Raw! Terrorizing! Revolting! Terrible! Kooky! Awesome! Ridiculous! Violent! Sinful! Salacious! Daring! Wanton! Sadistic! Vile! Delicious! Breathtaking!